It is not a major update and the basic design kept been same. However, some details of design has been done and random animation background was installed. 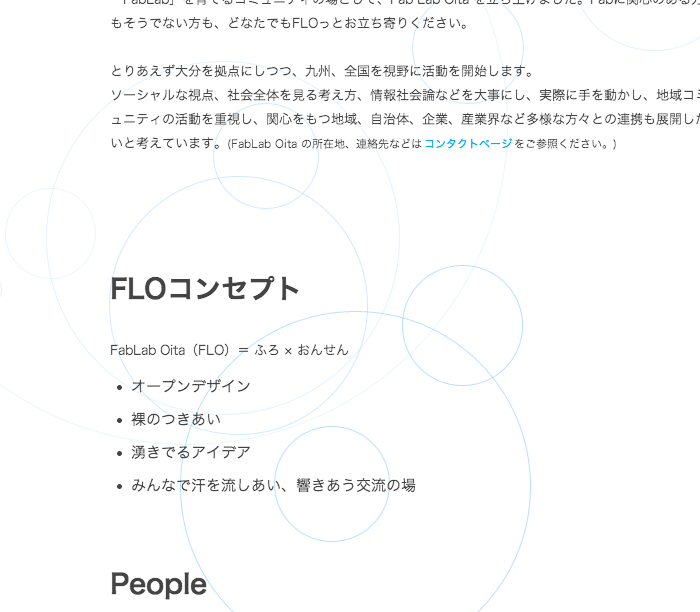 FLO means hot spring which Oita is famous for, and I tried to create Digital bubbles which represent Fablab Oita. As Fab movement is developing every day base, I want to keep this web site as a digital organics. without avoiding small mistakes, keep try and error a bit by bit. So, I wish not only the information on the site but “growth” of the FLO web site.